Spring registration opens January 1st 2019! 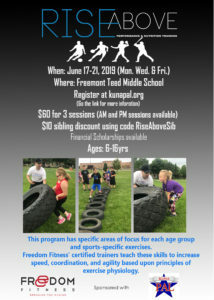 The program is available for boys & girls between the ages of 3-12. Spring flag football has come to a close. 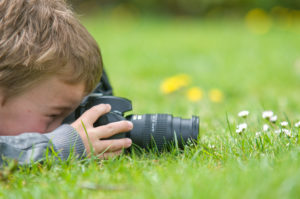 The program is available to both boys & girls between the ages of 5-12. 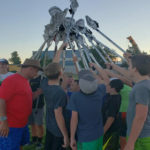 Kuna PAL is excited to partner with Kuna High School to introduce Lacrosse to our community! 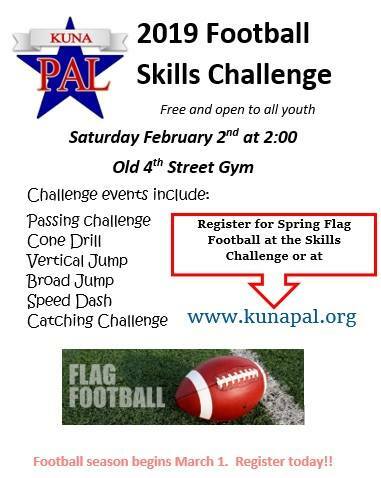 KPAL is excited to announce that we are now offering non-sport activities to our community! Want to fish but don’t know where to start? This class is for you. We will learn about aquatic habitats and where fish may be found in those habitats. Learn how to make the basic knot needed for the beginner angler, the clinch knot. Then learn to cast using a basic push-button reel and use your newly gained casting skills to catch plastic fish in the grass. Once you have mastered casting, try catching a real fish in Sego Prairie Pond. 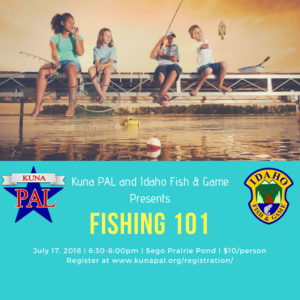 Idaho Fish & Game will be providing fishing poles for participants or you can bring your own pole. Register below. Space is limited! 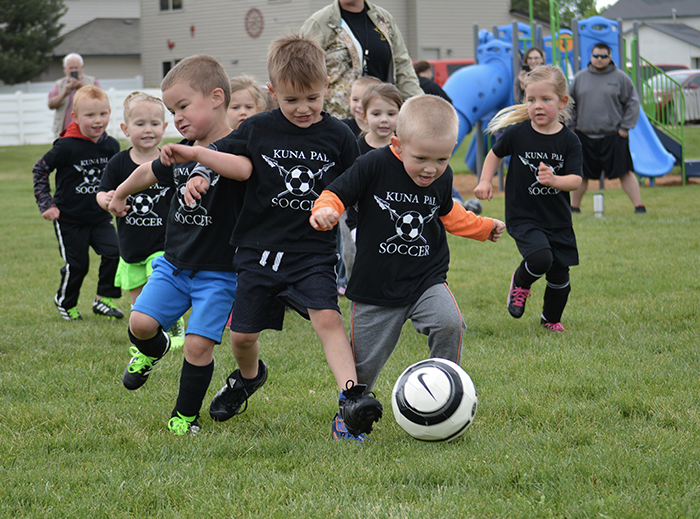 What’s cuter than a bunch of 3-4yo kids running around in soccer gear playing some ball?! Not much! 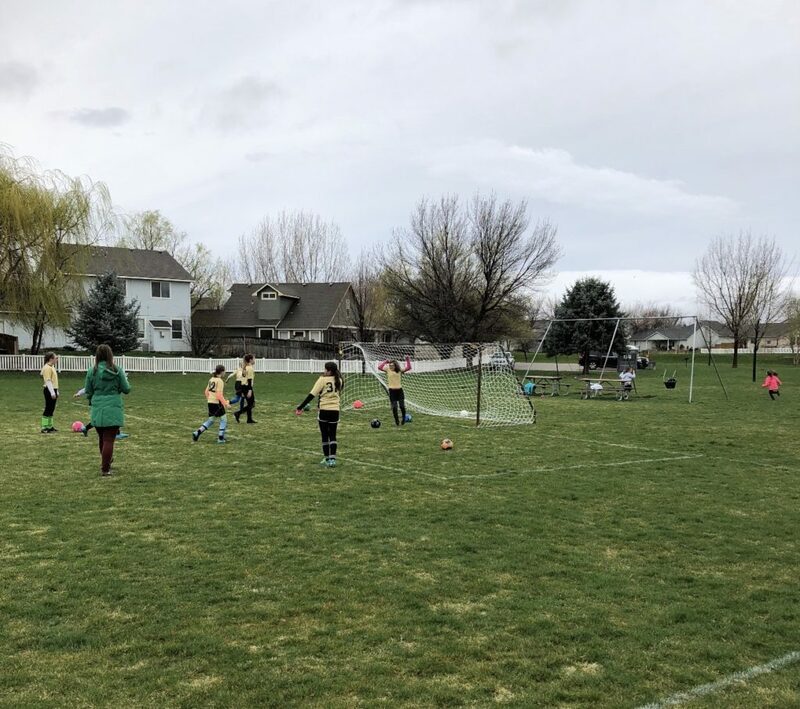 This season, KunaPal Soccer took feedback from parents throughout the past few years and tried to create a great program for both kids and families. We took the weeks we had and divided up the most important basics, ensuring the participants wouldn’t get overloaded or bored – tricky balance there! All in all we’re extremely pleased with how the new program went and plan to use feedback to continue to make it great! Well spring showers and wind sure gave us a run for our times this weekend! What would spring ball be without a little nature!? 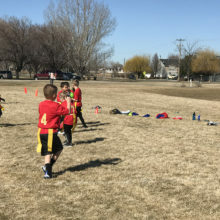 Football kids had a blast, although towards the end there weren’t much running plays if the field was in the crosswinds. True champs of the weekend were the soccer Tatertots, these 3-4yo kids played through severe winds like try champs… watchout club teams in 10yrs, these are gonna be some tough cookies! We also hosted our first U12 soccer game this weekend, our U12 teams travel all over the valley. Football kicks off Spring 2018 with blue skies and touchdowns! 03/10/2018-Wow, let’s just start with how amazing the weather was for our first weekend of football! Beautiful skies, brilliant sun and people were shedding coats – Spring is in the air! The Junior Vikings Vs. Junior 49ers started us off on Fire Sentry Systems Field at 9:00a followed by the younger division teams. Head Referee, Austin, said all of the games were really exciting to watch, lots of great talent and clearly a lot of fun being had. All of our teams rocked their first weekend and we can’t wait to see what this season has in store for us. 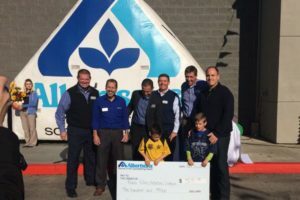 Kuna PAL would like to thank #Albertsons in Kuna for their contribution to our organization! We appreciate your desire to give back to the community and we look forward to building a strong relationship in the years to come!